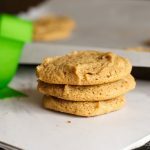 These flourless peanut butter cookies are another recipe I use for making bases for cheesecakes, slices etc. Or when I just want a peanut butter cookie. Or just the dough. Really, REALLY simple, just have to remember 1-1-1-1 … only problem is if I only need half of the mixture for the base, it’s a little difficult to just use half an egg. At times like these I just make the whole batch, and usually eat what isn’t required. Yum! One variation that I’ve just recently tried is substituting the 1 cup of white sugar for 1/2 cup (90g) of brown sugar. I also didn’t add the vanilla, but added 1 tsp of baking soda instead (from a combination of other recipes I’d looked at on the internet). 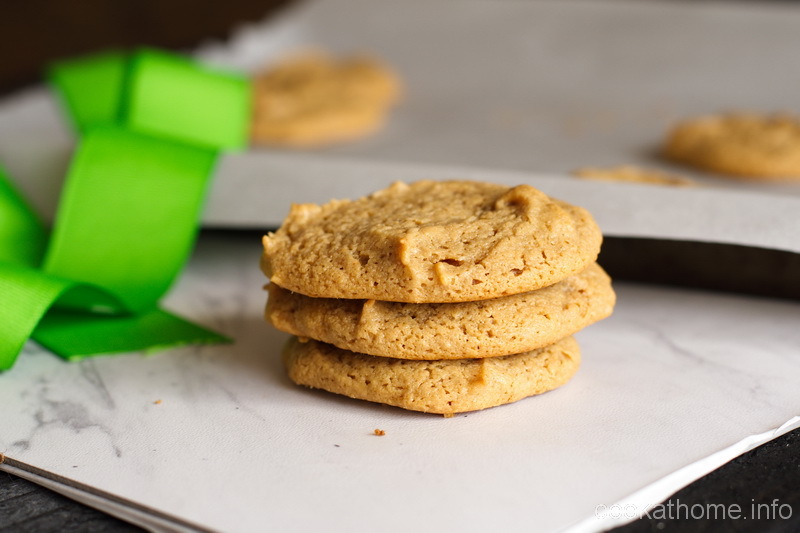 These cookies were SO soft … I think they’ll become my new standard peanut butter cookie recipe for when I want to eat the cookies. For the base, I think I’ll stick with the white sugar version below! In a medium bowl, mix the peanut butter, sugar, egg and vanilla until well combined. Spoon 1 tablespoon of mixture about 1 inch apart onto ungreased baking sheets. You can roll these into little balls if you wish. Bake until golden around edges, about 10 minutes. Transfer to racks to cool.